Alliance Model Works. Friul Model. Tiger Model Designs. Yahu Model. Master Model. Model Technologies. Plus Model. Plus Model - Airkit. Paragon Designs. 1:1 Scale Weapon Models. Hobby Boss. Valkyrie Miniature. Alliance Model Works. Super Scale Int. Reality In Scale. Failure to comply with this will result in unpaid item filing. A few have torn plastic or the boxes are in less than perfect shape, or maybe a builder kit, but there will be no surprises. Box side is dented. Doesn't affect contents.This contains a photo etch fret. Vintage NEW Trumpeter 80301 1:48 Scale Model Sukhoi SU-27UB FLANKER C Fighter Parts sealed in box I will combine shipping if requested! Please see my eBay rating. It is important to me! Thanks for the bids and have a blessed day! Star Wars Collectibles. Copper State Models. Alliance Model Works. Star Decal - Bison. Friul Model. Tiger Model Designs. Yahu Model. Master Model. Panzer Art. Paragon Designs. 1:1 Scale Weapon Models. Bob Smith Industries. Hobby Boss. TAHK / TANK. Copper State Models. Alliance Model Works. Echelon Fine Decal. Tiger Model Designs. Star Wars Collectibles. Star Decal - Bison. Failure to comply with this will result in unpaid item filing. Master Model. Live Resin. Science Fiction. Echelon Fine Decal. Bob Smith Industries. Eagle Strike Decals. TAHK / TANK. Tommy's War. Alliance Model Works. Loose Cannon Models. Friul Model. Loose Cannon Models. Copper State Models. Mig Productions. Microscale Decals. Mantis Miniatures. Failure to comply with this will result in unpaid item filing. Yahu Model. WingNut Wings. Echelon Fine Decal. Alliance Model Works. Failure to comply with this will result in unpaid item filing. Bob Smith Industries. Master Model. Live Resin. Science Fiction. Yahu Model. Tiger Model Designs. TAHK / TANK. Failure to comply with this will result in unpaid item filing. Mig Productions. Master Model. Live Resin. Yahu Model. WingNut Wings. Paragon Designs. 1:1 Scale Weapon Models. Alclad II Lacquers. Aero Master Decals. Hobby Boss. Copper State Models. Alliance Model Works. Super Scale Int. Panzer Art. Paragon Designs. 1:1 Scale Weapon Models. Hobby Boss. Cutting Edge. Alliance Model Works. Super Scale Int. Reality In Scale. Paragon Designs. 1:1 Scale Weapon Models. Hobby Boss. Copper State Models. Alliance Model Works. Super Scale Int. Reality In Scale. Cutting Edge. Aero Master Decals. Star Decal - Bison. Echelon Fine Decal. Master Model. Bob Smith Industries. Failure to comply with this will result in unpaid item filing. Yahu Model. Hobby Craft. Paragon Designs. Loose Cannon Models. 1:1 Scale Weapon Models. Hobby Boss. Alliance Model Works. Super Scale Int. Reality In Scale. Tiger Model Designs. Echelon Fine Decal. Bob Smith Industries. Eagle Strike Decals. TAHK / TANK. Tommy's War. Alliance Model Works. Eagle Cals. Loose Cannon Models. This is a Trumpeter 1/35 German Panzer Division Soldier Figures kit Part 1 .Contains 4 figures plus all equipment shown in the picture.Comes brand new in the sealed box.Stock # 402. Required but not included may be glue and paint to complete assembly. Echelon Fine Decal. Failure to comply with this will result in unpaid item filing. Master Model. Live Resin. Science Fiction. Yahu Model. WingNut Wings. Warpaint Books. Produced by Trumpeter in 1:35 Scale. Part of the South Korean Fleet. Russian BMP-3 Heavy Tank. Can be used anywhere on the model because it dries clear as glass. Plastic Model Kit. Paint and Glue Not Included. Trumpeter 1/72 Scale Plastic Model Kit 07202 German Sd.Kfz. 182 King Tiger Tank (Porsche Turret). This could make a great addition to your collection or gift for a friend. This is a model kit Assembly is required Paint and glue not included. Panzer Art. Paragon Designs. 1:1 Scale Weapon Models. Hobby Boss. Valkyrie Miniature. TAHK / TANK. Star Wars Collectibles. Alliance Model Works. 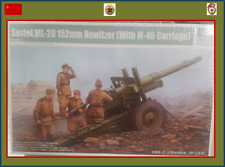 This is a Trumpeter 1/35 German Motorized Regiment Soldier Figures kit Belgrade 1941 .Contains 4 figures plus all equipment shown in the picture.Comes brand new in the sealed box.Stock # 403. Paragon Designs. Loose Cannon Models. 1:1 Scale Weapon Models. Science Fiction. Hobby Boss. Hobby Zone. Alliance Model Works. Super Scale Int. Echelon Fine Decal. Bob Smith Industries. Eagle Strike Decals. Copper State Models. TAHK / TANK. Tommy's War. Alliance Model Works. Loose Cannon Models. Echelon Fine Decal. Aero Master Decals. Tiger Model Designs. Master Model. Failure to comply with this will result in unpaid item filing. Bob Smith Industries. Live Resin. Science Fiction. Length 80.5mm width 33.5mm Height 33.5mm.Total parts 32. Echelon Fine Decal. TAHK / TANK. Tommy's War. Failure to comply with this will result in unpaid item filing. Bob Smith Industries. Master Model. Mantis Miniatures. Live Resin.